I had my old skil router just sitting around after I upgraded to my 3 HP hitachi mv12v2. I am primarily a hand held router kind of guy, but I figured a router not doing anything could find a use in a table. The plans were from a recent wood magazine. It consists of a sheet of baltic birch, some screws, and glue. 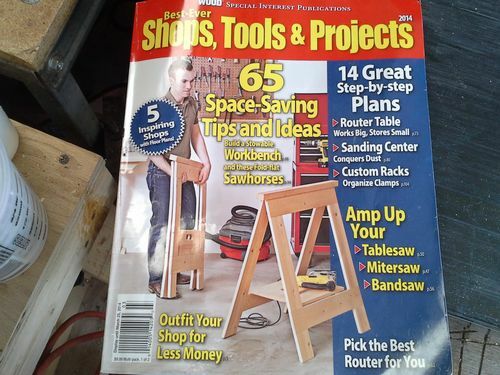 There are some great router tables out there, this one is not one of them, just one that does what it’s supposed to. It was a fun weekend project that could get some use. Nice table top router table. looks flat and that’s all that matters.you’ll use the router a lot more now. and you’ll be able to do stuff that couldn’t be done before. That is great way to put that spare router to use. You’ll find a router table is very handy!! Cool. I built a stand alone table, but I could totally get by with a benchtop. They come in pretty handy. I built one of those when I was in Connecticut, just after the issue came out. It’s quite useful. Great job. I like those drawers too. It’s just half a hole saw. I think I used a two inch one. A nice looking table. I have a spare router and unused baltic plywood so your post is well timed! What magazine was the article/plan in? Cool looking table. I bought a new router and it won’t fit my Sears router table :) So, I may have to give this a try.